Telluride has six Nordic skiing areas within a half-hour and a Nordic Center offering rentals, maps and lessons. Club offerings and amenities located in Ridgway, CO just outside of Ouray. 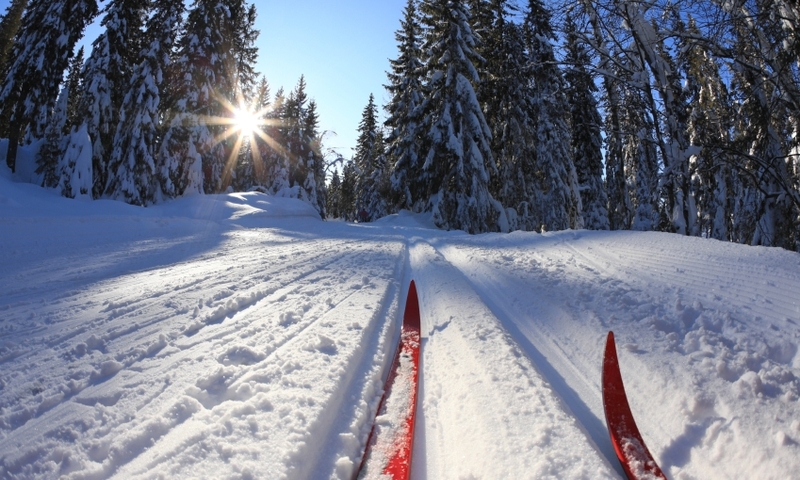 Enjoy a luxury golf course in the summer and nordic skiing in the winter. Mountain adventures from experienced guides are available at San Juan Outdoor School. We have winter and summer adventures for all ages and abilities. Maintained trail system throughout Telluride. Rent ice skates and classic and skate ski packages for kids and adults and enjoy the trails. Enjoy skiing, snowboarding in Telluride's award winning ski terrain and Rocky's snow in USA's highest concentration of 14,000 foot peaks. There are six sets of cross country ski trails near Telluride with great rolling terrain. The Valley Floor and Town Park are two popular sets of trails walking distance from Telluride. Trails also begin at the summit of Lizard Head Pass and receive the most snow, meaning they stay open longer. The popularity of Nordic skiing has surged in Telluride over the past decade, and the area now boasts more groomed trails than ever. Many trails feature rolling terrain alongside frozen lakes and rivers and sit peacefully under the shadows of stunning 14,000-foot peaks. The Nordic Center is located at the north entrance to Town Park and is open every day except Sunday. A series of trails running three kilometer begin just steps from the center. A longer set of trails expands across the Valley Floor open space just west of Telluride. Parking can be found at the end of Mahoney Drive in the southwest corner of town. Priest Lake is about 12 miles south of Telluride alongside Highway 145. The trailhead is at the Forest Service building about 500 yards past the Matterhorn Campground. There are several interconnected trails over rolling terrain labeled beginner, intermediate and advanced. Remember to sign in before using the trails. The Trout Lake trails are dog-friendly and receive the most snow, making it the first trail to open and last to close. The best access point is at the parking lot on the summit of Lizard Head Pass south of Telluride on Highway 145. Mountain Village maintains twelve kilometers of trails through aspen groves, pines and along the golf course. Trails can be accessed by a free parking lot at the end of Adams Ranch Road or in the main village by the Peaks Resort. The ski resort operates and maintains a series of trails at the top of Lift 10 in Mountain Village. Special discount tickets are available if visitors are only using the Nordic trails. Tellurdie Nordic Association grooms nordic trails and provides education and encouragement to nordic skiiers of all ages. The National Cross Country Ski Education Foundation is dedicated to training and scheduling events and races for the US Cross Country Ski Team.